Here's a great way to kick off your weekend. Kevin Hart is doing another spontaneous 5K run, this time at 8 am Saturday in San Francisco's Marina, starting at 3301 Lyon Street. These events are serious runs but they are also a serious amount of fun. Sign up to ensure a spot, although walk-ins may be possible, too. There'll be secure storage for your personal stuff, plus lots of sweet giveaways — t-shirts, water bottles and other great swag. 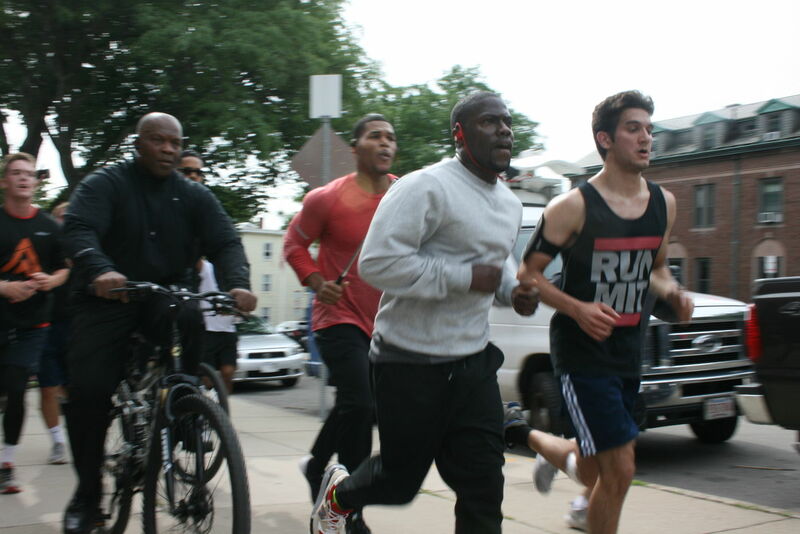 The spontaneous 5K runs grew out of Hart's role as the first Health Ambassador for Rally HealthSM. Kevin teamed up with us to let everyone know that it can be fun to get — and stay — healthy. Kevin and Rally have been using the hashtag #RallyWithKevin to alert folks about the surprise 5Ks and other things that Kevin has been doing to get the word out about health and wellness. Follow Rally Health on Facebook and watch #RallyWithKevin for more details and tips about the San Francisco 5K. We’ll see you there!